MADISON - Another Wisconsin nine-day gun deer season has come and gone, and preliminary registration numbers show an increase in statewide harvest. Wisconsin's nine-day gun deer season continues to show hunting as a safe recreational activity, as the season ended with three hunting incidents and no hunting-related fatalities. Overall, preliminary figures show that 211,430 deer were registered during the nine-day gun deer hunt, compared to 197,733 in 2017. Of this year's total, 104,388 nine-day gun season hunters were successful in their pursuit of an antlered deer. The largest increase in buck harvest occurred in the Central and Southern Farmland Zones (both up about 5 percent from 2017). Considering the very poor opening weekend hunting conditions in 2017, this increase is not surprising. "We had just about ideal hunting conditions through most of the season, and many hunters reported significant rutting activity," said DNR Secretary Dan Meyer. "Considering those factors, it isn't surprising that we are hearing good reports from hunters from all corners of the state." extended archery and crossbow seasons in select Farmland Zone counties open through January 2019. Hunters may use any unfilled antlerless harvest authorization during each of these hunts, but they must be used in the zone, county, and land type designated on the harvest authorization. For more information regarding which hunts may be offered in each county, check out the interactive deer map at keyword "DMU." total preliminary harvest registrations: 104,388 (5.4 percent increase) antlered and 107,042 (8.4 percent increase) antlerless. Hunters are required to register harvested deer before 5 p.m. the day after harvest at gamereg.wi.gov or by calling 1-844-426-3734. Any hunter who failed to follow mandatory registration rules should do so now, despite having missed the deadline. For more information regarding preliminary registration totals, visit dnr.wi.gov and search keywords "weekly totals." The 2018 nine-day gun deer season will go into the books as one of the safest on record in Wisconsin with the DNR Bureau of Law Enforcement reporting three relatively minor firearm related incidents (Columbia, Dunn and Sauk counties) and no fatalities. Hunting is a safe recreational activity, as seen in the downward trend in the number of firearm-related hunting incidents during the popular nine-day gun-deer season. 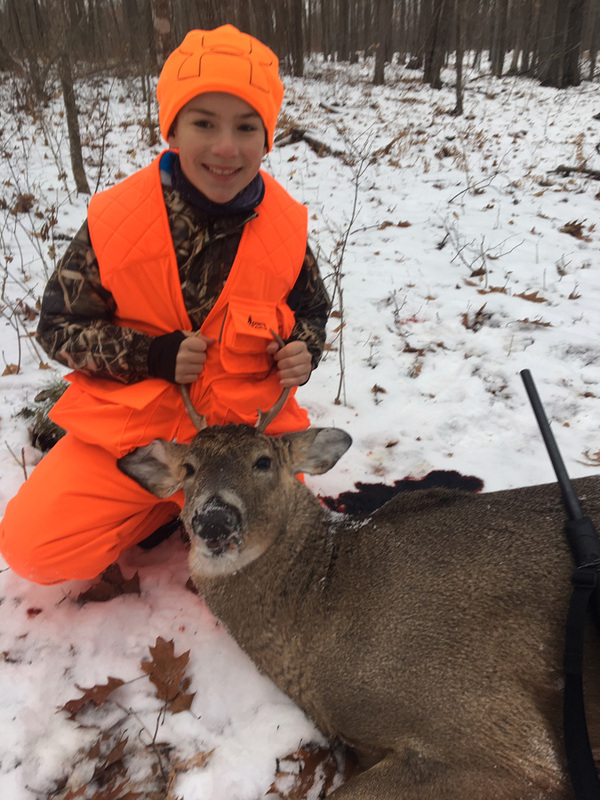 "In Wisconsin, seven of the past 10 nine-day gun deer hunts finished without a firearm hunting fatality and three non-fatal firearm incidents in 2018 is the lowest in history for this hunt," said Todd Schaller, DNR Chief Conservation Warden. "Even so, one incident is one too many - always remember safety first when you are in the field." In 2018, 576,277 gun deer licenses were sold through the end of the nine-day gun deer season, a 2 percent drop from 2017 gun deer license totals. In total, 803,772 gun, archery and crossbow licenses (not including upgrades) have been sold through the end of the nine-day gun deer season, just over a 2 percent drop compared to 2017. DNR license agents sold 59 percent of licenses, while 41 percent were purchased online. Deer hunting license and harvest authorization sales will continue throughout remaining deer hunting seasons. The GameReg internet registration system and call-in phone option worked well, while hunters continue to visit walk-in stations that offer these services. Positive feedback was received throughout the season as hunters enjoyed the convenience and flexibility of GameReg. On Saturday, Nov. 18 an average of 61.1 registrations were processed per minute. To date, 67 percent of harvest registrations were completed online and 33 percent were completed via telephone for the 2018 deer hunting seasons. The accuracy of deer harvest numbers is directly related to the level of hunter compliance. If a hunter forgot to register their deer, they still have time to use GameReg and help ensure each deer harvest is counted. For more information, search keywords "GameReg." Hunters are reminded that CWD sampling opportunities are available throughout remaining deer hunting seasons. To find a sampling location near you, search keywords "CWD sampling." Thanks to generous contributions from numerous partners, the Adopt-a-Kiosk and Adopt-a-Dumpster programs gave hunters additional options to submit their harvested deer for CWD sampling and safely dispose of carcasses. The cooperation of hunters and private businesses has become increasingly vital to the success of our sampling process - DNR staff would like to thank all those who continue to assist with CWD surveillance. With over 82,000 downloads since its Fall 2018 launch, the new Hunt Wild Wisconsin mobile application is an extremely a valuable tool for hunters in the field. From mobile public lands mapping and shooting hours to all hunting regulations in on place, this app gives hunters everything they need. To download this free app, search keywords "hunt app." The Deer Hunter Wildlife Survey will remain active until all deer seasons have ended, and wildlife managers ask that hunters submit a report of what they observe during their time in the field. This information provides valuable data to improve population estimates for Wisconsin's deer herd and other species. For additional information, search keywords "deer hunter wildlife." Hunters of all ages who head out for their first hunt are encouraged to mark the occasion with a first harvest and first hunting experience certificate. To create a certificate, visit dnr.wi.gov and search keywords "first certificates." While the nine day hunt has ended, hunters are reminded to connect with DNR staff on social media through the department's Facebook, Twitter and Instagrampages. DNR staff look forward to photos from the field each year. Also, be sure to check out Wild Wisconsin - a web and podcast series focused on all things outdoors. For more information regarding deer hunting in Wisconsin, search keyword "deer." MADISON - The number of wildlife watchers increased 20 percent nationally from 2011 to 2016, with birds being their overwhelming favorite and most often observed at backyard feeders, according to a recently released federal outdoor recreation survey. With winter weather setting in, now is the time for Wisconsin bird watchers to put out feeders and consider reporting the birds they observe, state bird experts say. "Winter is a great time to watch birds and to contribute to bird science and management by reporting the birds you see at your feeder," says Ryan Brady, a Department of Natural Resources conservation biologist and monitoring coordinator for the Wisconsin Bird Conservation Initiative. Audubon's 119th Christmas Bird Count (exit DNR), conducted locally on one day between Dec. 14, 2018 through Saturday, January 5, 2019, is an easy and fun way to get started while Project Feederwatch (exit DNR) spans the entire winter. The single best seed to provide is black oil sunflower, which has high fat content and attracts the most species. Also offer nyjer (thistle) for finches, white millet for sparrows, doves, and other ground-feeding species. Offer both suet and peanut chunks for woodpeckers, chickadees, and nuthatches. Avoid generic seed mixes as these tend to have more waste and attract less desired bird and mammal species. Deter squirrels with cone- or dome-shaped baffles above hanging feeders or below pole-mounted feeders. Place feeders closer than 3 feet or farther than 30 feet from your home to avoid the deadliest window collision zone. 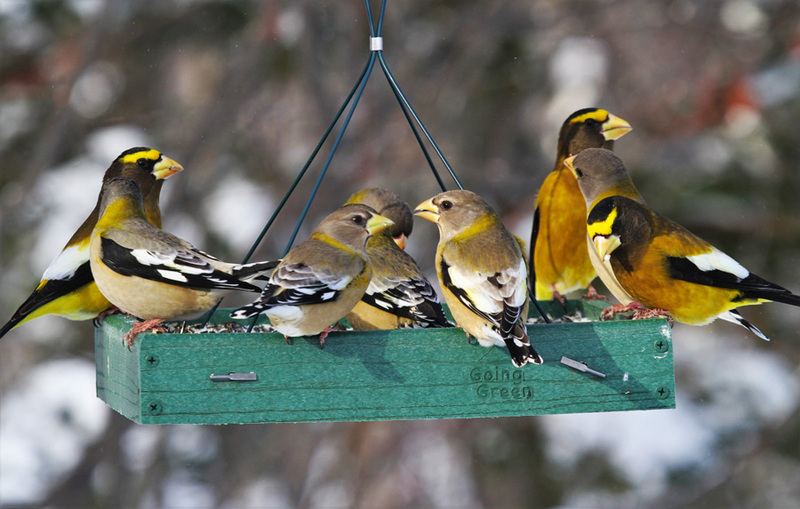 Minimize disease by cleaning your feeders at least once every two weeks using soapy water and a 10% bleach solution. Provide cover such as brush piles or dense shrubs for roosting and escape from predators. Offer water to attract a wider variety of species, using a heating element when temperatures dip below freezing. "Birdscape" your property with native plants such as fruit-bearing shrubs and evergreen trees. Check out these birdscaping resources on the Wisconsin Stopover Initiative website [exit DNR]. Nationally, 86 million adults reported wildlife watching in 2016 and spent $75.9 billion doing so, a 29 percent increase since 2011. That compares to 35.8 million adults who reported fishing in 2016 and 11.5 million who reported hunting, according to the U.S. Fish & Wildlife Service's 2016 National Survey of Fishing, Hunting and Wildlife-Associated Recreation (exit DNR). More than 80 percent of wildlife watchers said they watched wildlife around home while 24 percent watched away from home. Birds were by far the most commonly watched wildlife, whether around home or away. The 2016 survey doesn't provide state level results but Wisconsin ranked second in the 2011 survey with the highest proportion of residents reporting watching birds.